Specialized Levo FSR 6fattie is a first-class bike with all the hallmarks that Specialized mountain bikes are known for, while streamlining the design for full integration of our Turbo technology. Its aggressive geometry makes the bike feel glued to the trail while it offers nimble handling through the corners and stability at high speed. Efficient and powerful Turbo technology with motor that puts out up to 250 watts of additional power to the pedals makes climbing nearly effortless. Reliable battery lifespan in lightweight e-mountain bike makes a perfect combination for full-day tours. 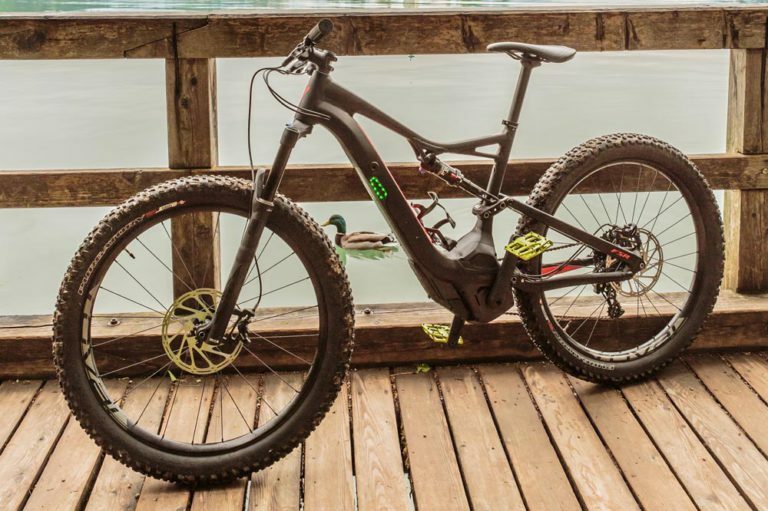 Electric mountain bike is a full-suspension bike with Turbo Specialized Motor that makes climbing the steepest hill nearly effortless. Through an integrated trail display you can select three different levels of additional power. Your battery will most likely take you between 80 to 100 kilometres depending on your own effort and trail difficulty. The e-bike will assist you to a maximum speed of 25kph. Higher speed can be reached with your own power. Tire: Purgatory, GRID casing, 650bx3.0"